Student Locksmith Being a student is not easy, EA Locksmith is committed in helping students getting back into their rooms, late after hours and cold lonely nights it doesn't matter how bad it gets when you got locked out you will be served. Getting back into your room never been easier and with our prices students can definitely afford a service like ours. Situations, often we receive calls from students with all types of situations like a bedroom lockout or a room lock change. In some cases even lost car keys or door lock repairs (for cars). Students who drive vehicles older than 2010 receive a competitive discount on car key copies and remotes. 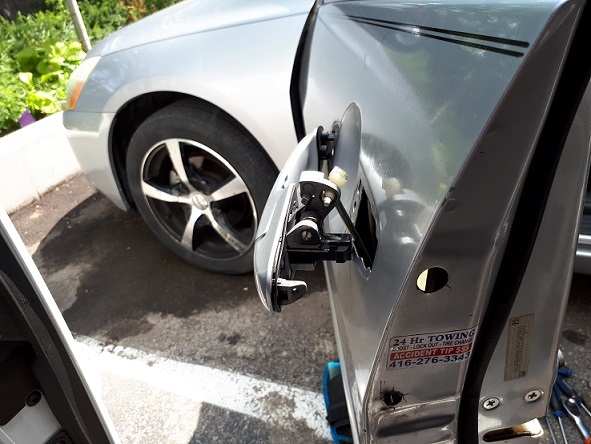 Car lockout — being locked out of your car is not a fun experience and you shouldn't be taken advantage of, our service is fun and honest we show up in intention to resolve your problem on it's best side satisfying you and keeping the business alive. Automotive Locksmith Welcome to EA Locksmith's Kitchener Locksmith page! Whenever you need an automotive locksmith we are the first stop for your ignition keys and repairs! Making sure we carry your type of car remote or key is important before proceeding and we make sure you get the price and the service you need. Repair on-site honestly if the part can be repaired and we are able to get it done on-site then it's great, however not always a repair can be possible and parts need to be replaced. We replace if recommended otherwise we are usually focusing on repairing your problem and make your day much easier and potentially cheaper! Fair service at a fair price. Affordable, reliable and effective on site for your locksmith needs! Honesty is the key! Honest Locksmith Kitchener Welcome to yet another EA Locksmith's Kitchener Locksmith page! Honest locksmith services in Kitchener, Waterloo, Cambridge, and Guelph. Your situation can often change and you find yourself at a disadvantage point, this is where honesty can play a role. Being reasonably priced even when you are at a disadvantage is our motto! It's reasonable that a high demand drives a higher price, yet the price does not exceed reasonable revenue for the business. Being affordable is quite a task, but most importantly being affordable is helping more customers get the service they deserve. EA Locksmith is open about the work and everything is up front, no surprises or stunts. Usually, our timing in Kitchener is about 20 minutes although traffic or weather conditions might affect eta. We give real eta within the reasonable time, if the customer has to wait too long we are always happy to assist in other ways to resolve your situation faster and point you in the right direction. We specialise in a variety of services; anything from a mailbox key to house lockouts, ignition lockouts to commercial exit devices and access control installation. No project is too small or too big and we are honest about our work and pricing. We service Kitchener, Waterloo, Cambridge and other areas. Call ahead to schedule or check availability! You are welcome to view our list of services below and feel free to browse our site, we always like to show something new.